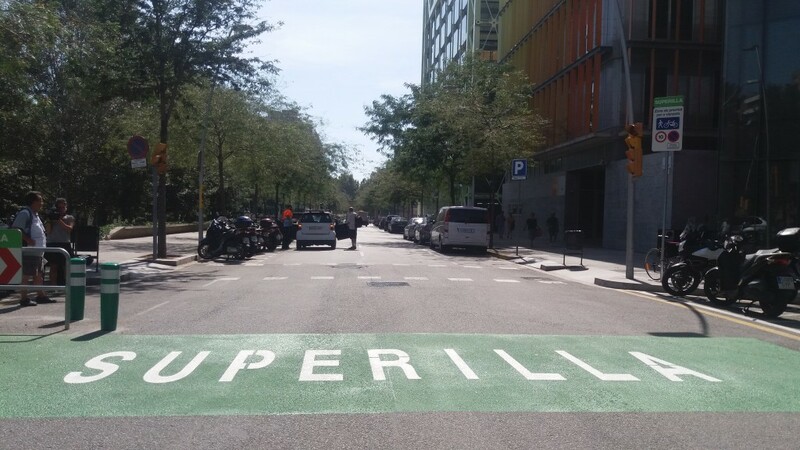 The first superblock in the street plan originally designed by Cerdà is now a reality. 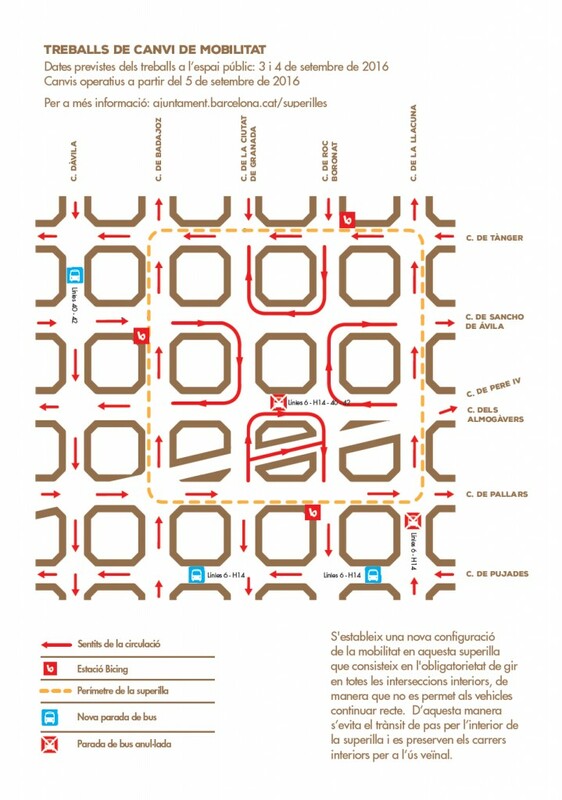 Changes to mobility in the area mean that the block between C/ Badajoz, C/ Pallars, C/ La Llacuna and C/ Tànger is now ready. 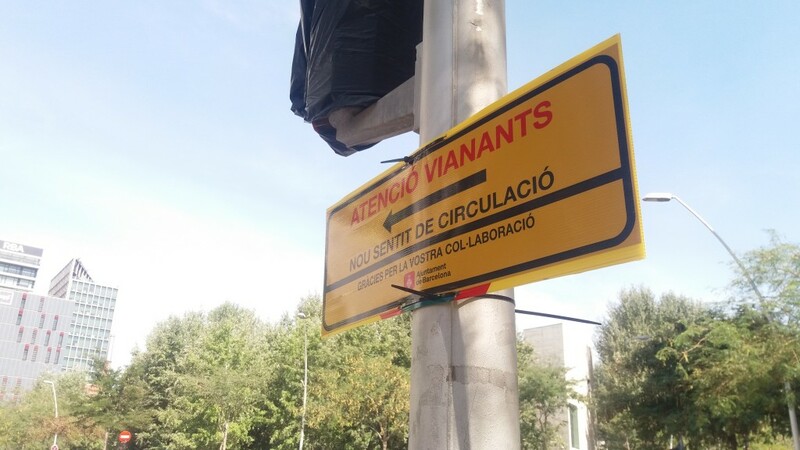 The modifications, conveniently signposted and backed up by an information campaign and extra policing, affect the circulation of private vehicles, buses and bicycles. 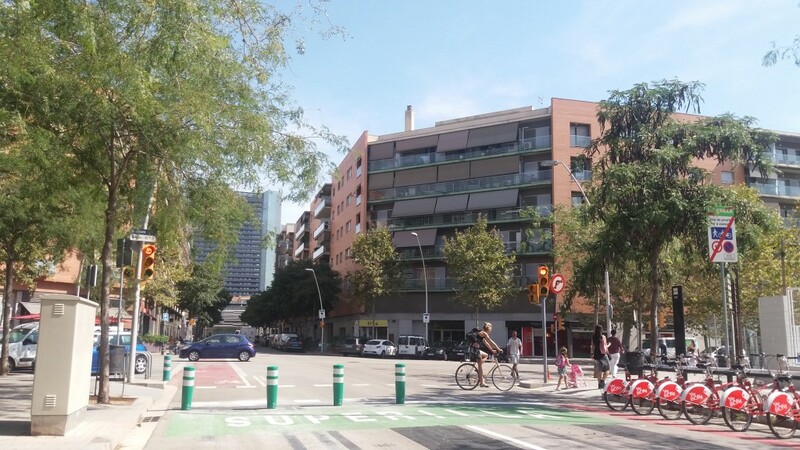 The aim of the superblock is to humanise the area, helping make the city more sustainable and gaining more space for citizens. Around the nine blocks delimited by the four streets, private vehicles no longer have priority. Though they are able to access any point in the area they are not able to cross the zone completely. 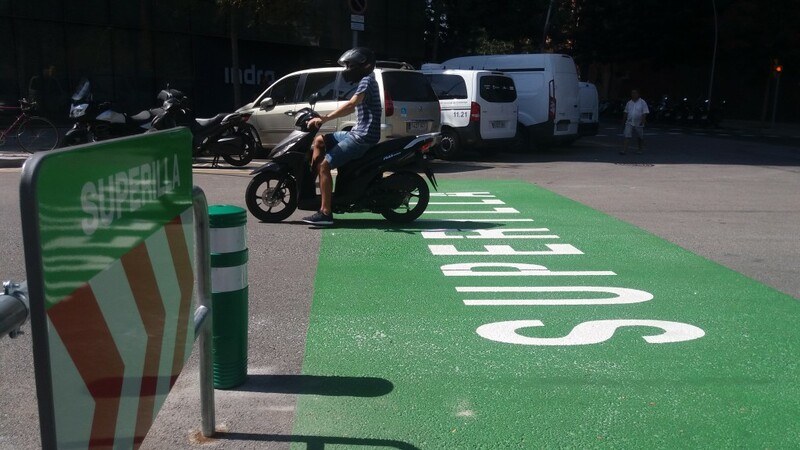 The first superblock in the Cerdà street layout works by preventing through traffic within it and freeing up space for use by local residents. Four new squares have thus been created and over 8,000 square metres have become available for purposes other than mobility, such as interaction, recreation, culture and democracy. The work carried out seeks to redress the priority given to cars and motorbikes on the city streets. 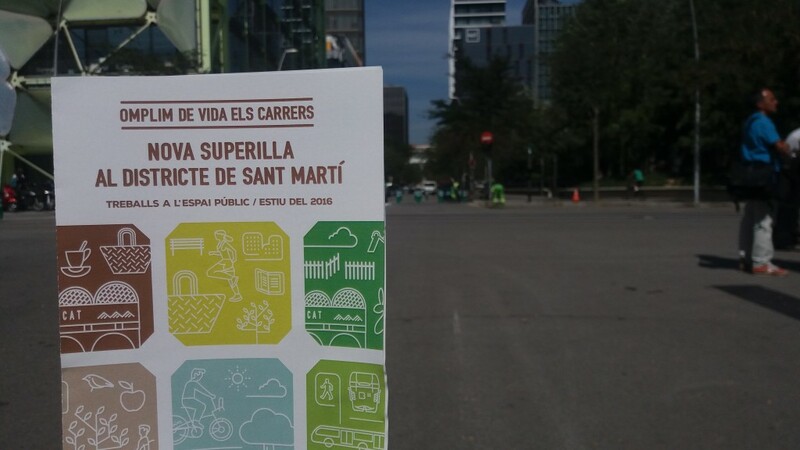 The Councillor for Mobility, Mercedes Vidal, asserted: “The majority of citizens get around on foot and that is often very evident. Cars, which make fewer journeys percentagewise, take up the most space. It’s a matter of urban justice that we redistribute this space to create a new balance”. 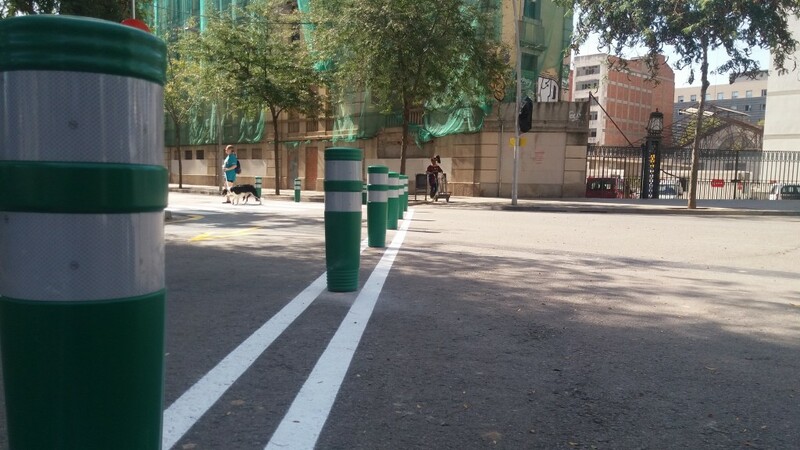 The new circulation system was put into operation on Monday and obliges private vehicles to turn at all junctions within the nine blocks. 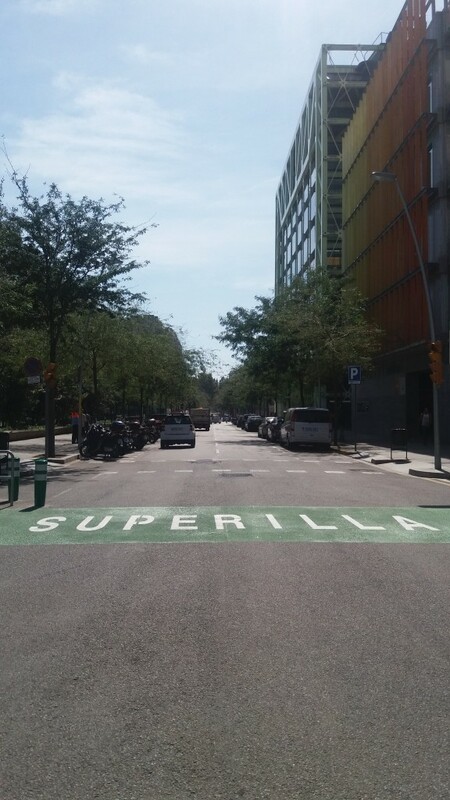 This means they are unable to follow one road continuously and are advised to avoid going through unless strictly necessary to get to a specific point in the superblock. The speed limit for vehicles in the block is 10 km/h. The changes to mobility are meant to dissuade drivers, but not to prohibit the circulation of vehicles along any section of street. Local residents are able to access parking using the traffic flow systems in place. 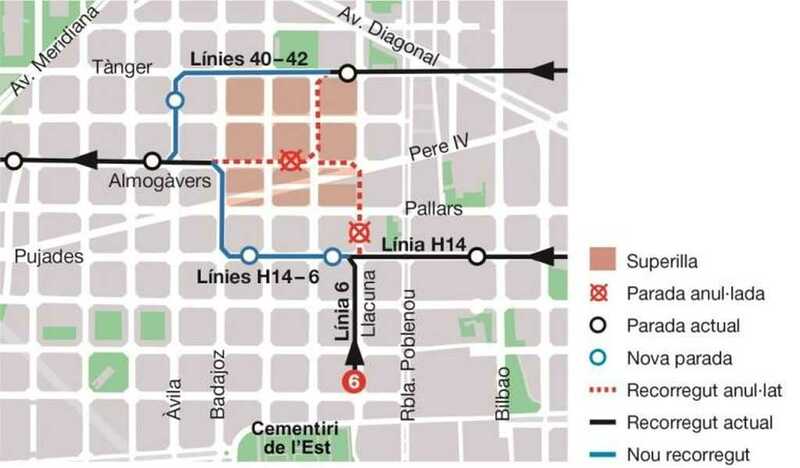 – C/Àvila (C/ Tànger): services 40, 42, B20, B25 and N11. – C/ Pujades (C/ Llacuna): services H14 and 6. 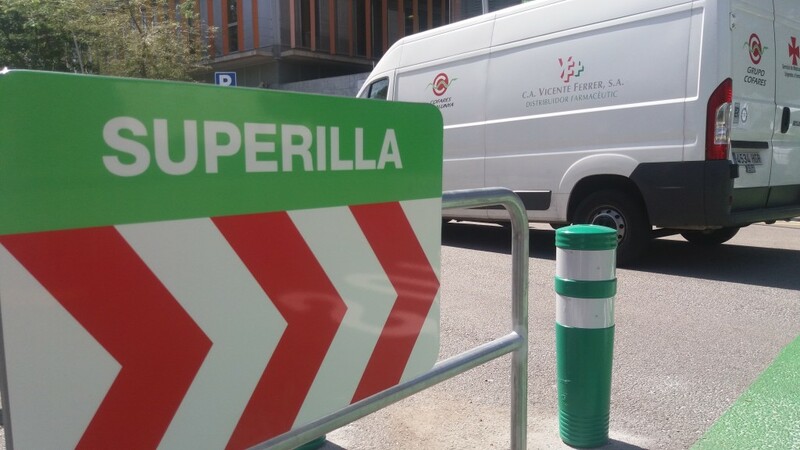 – C/ Pujades (C/ Badajoz): services H14 and 6. 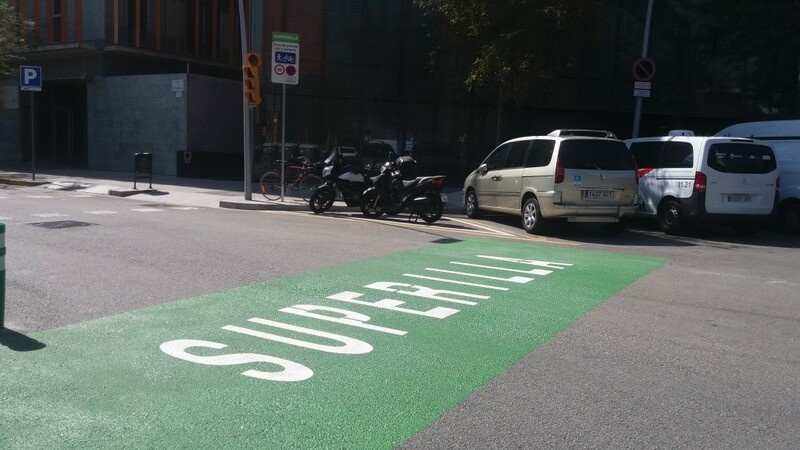 The two existing bus stops within the superblock have been taken out of service. 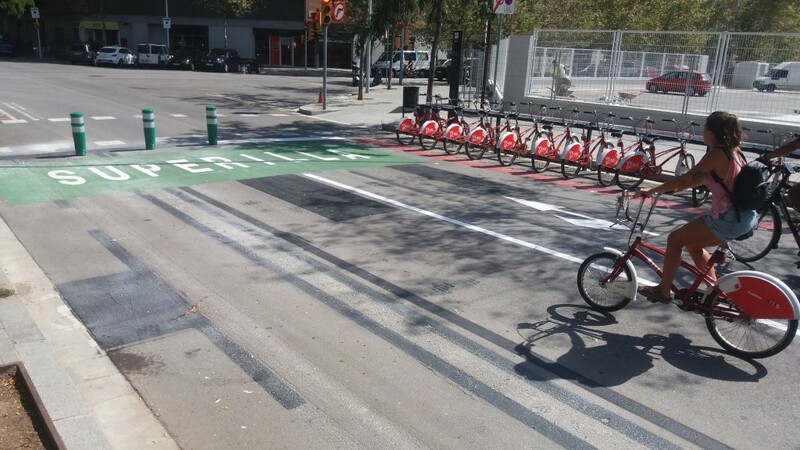 The new pacified traffic layout along the streets within the superblock means that bicycles can travel in both directions. Bike lanes are not needed and bicycles are actually the only vehicles able to cross junctions in a straight line. 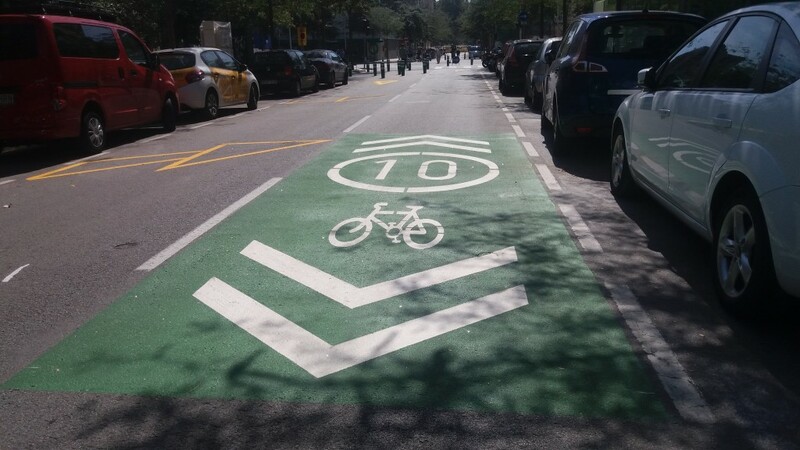 Because of this, existing bike lanes have been eliminated and the area has been signposted accordingly to indicate two-way bike traffic.